A cinnamon stick and some fresh lemon juice flavor these easy simmered fresh plums. 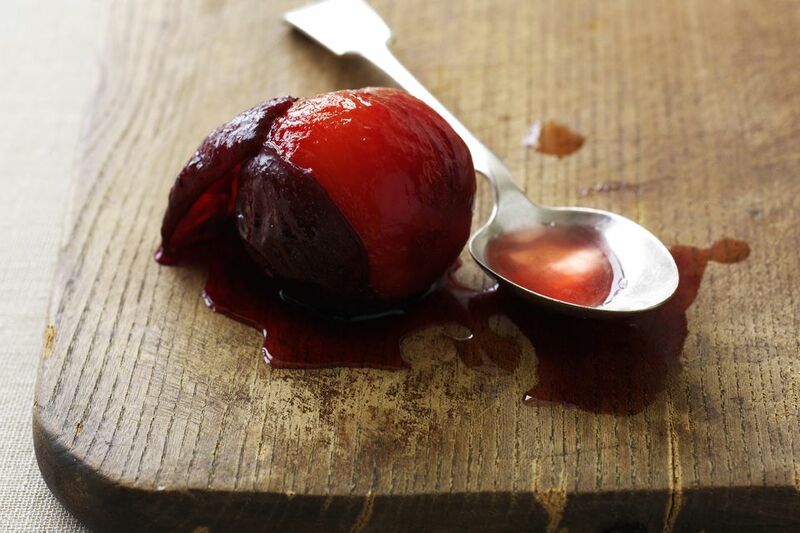 Serve the stewed plums alongside baked ham or roasted pork, or serve them as a breakfast fruit, or top the plums with whipped cream or ice cream for a fabulous dessert. In a medium saucepan, combine the granulated sugar, water, salt, and lemon juice. Add the cinnamon stick to the mixture and bring to a boil while stirring constantly. Wash the plums and cut them in half; remove the pits. Place the plum halves in the boiling syrup. Continue cooking for 3 to 5 minutes, or until plums are tender. Remove from heat and let them cool. Refrigerate to chill thoroughly. Serve as a breakfast fruit or dessert with whipped topping.